Increase output by updating to a high-performance carburetor without buying costly intake manifolds. 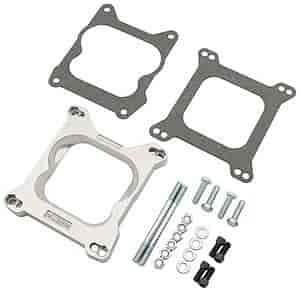 These die-cast aluminum carb adapters install quickly and easily. Gaskets, studs, nuts, and washers included. Yes, this will work for your Edelbrock intake manifold.